The Coach of the Year Awards were first awarded in 2010 to recognize the outstanding body of professional coaches within the sport of gymnastics in Ontario. 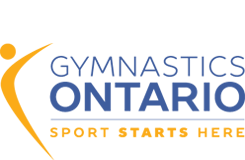 The intent is to recognize excellence across all gymnastics disciplines – all Gymnastics Ontario coaches in good standing are eligible to be nominated in the appropriate category. A total of three awards will be presented each year – one in each of the categories indicated. Recreation / Grass Roots: Coaches who coach grass roots and recreation athletes of any age. The coaching environment at this level is primarily non-competitive, and there is emphasis on skill development, participation, and fun. Developmental / Competitive: Coaches at this level are responsible for athletes who are developing competitive skills, as well as preparing athletes for present and future competition. National / High Performance: Coaches are primarily working with athletes at the National and/or International level. Recipients must be members in good standing of Gymnastics Ontario and have attained the appropriate level of NCCP and Risk Management based on the level of athlete they are coaching. Shared their expertise willingly in a variety of ways. Nominations are to be submitted on the General Award Nomination Form. The nomination must be accompanied by a coaching profile, that includes discipline(s), NCCP number and number of years coaching. Nominations will be short-listed by the Awards Committee, and approved by the Board of Directors.